You can prevent the spread of HBV (Hepatitis B Virus) as well as relieve its symptoms with a home Hepatitis B treatment. Read the following tips that will make you feel better. Coordinate your activity to your energy. We don’t imply that you must stay in bed, but just pay more attention to what your body is saying. Slow down whenever you feel tired. Try lowering your workload if you feel tired at work or school. Gradually return to your normal activities when you will start feeling better. However, make sure you don’t return to your normal pace too soon, since you may get ill again. Eating well is of high importance, although at that point food might not seem appealing to you. For the majority, loss of appetite and nausea worsen as the day goes on. Your meal in the morning should be substantial, however not heavy, and the following meals throughout the day should be lighter. A protein-rich, high-calorie diet used to be recommended by doctors to patients with hepatitis. However, this diet is no longer considered to help. Furthermore, such type of food is pretty hard to consume when people feel nauseated. Instead, try to make your diet balanced while you consume foods that you find appealing. For people with this type of hepatitis, maintaining their body well-hydrated is very important, especially if they are vomiting. Therefore, they should drink a lot of water. Other excellent choices are broth and fruit juices as they provide additional calories. However this stands just for those who can tolerate these alternatives. The electrolytes (essential minerals) lost during vomiting, can be replaced by many sports drinks available in most grocery stores. Moreover, you can prepare your own homemade rehydration drink. 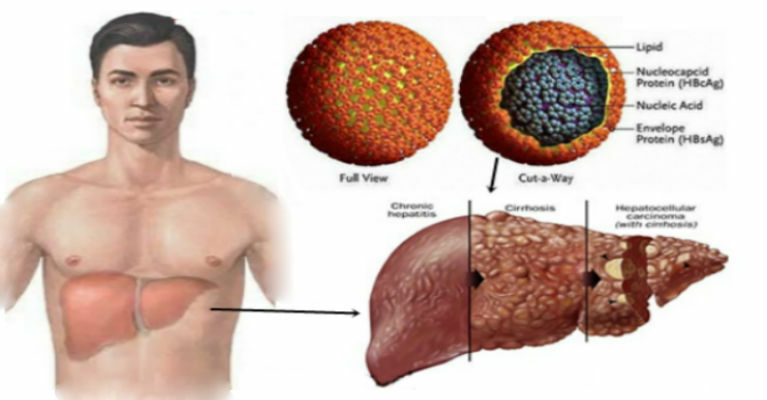 The processing of alcohol and drugs by the liver is harder for those with hepatitis virus. Their effect might last longer and be more powerful if they drink alcohol or take drugs, both prescription and illegal. Moreover, they can even worsen the liver damage. Your doctor might tell you to stop using prescription medicines, if you were already using them, so that your liver can have time to heal. However, don’t stop taking your medicines if your doctor hasn’t told you to do so. Make sure you consult your doctor prior to taking any over-the-counter medicines, such as acetaminophen (like Tylenol) and herbal products. The reason is because acetaminophen can worsen your liver disease, particularly if you don’t stop consuming alcohol. You should avoid alcohol consumption until your doctor tells that you have your liver completely healed. Have in mind that this healing period might take up to 3 to 4 months. Hepatitis patients might have itchy skin. But to control the itching, you should keep out of the sun, wear cotton clothes, and take over-the-counter antihistamines like Chlor-Trimeton or Benadryl. However, consult your doctor prior to taking these medicines as a Hepatitis B Treatment.